SECRET Way to AUTOMATICALLY Check-in on Southwest Flights! Did you know there may be a way you can automatically check yourself in on a Southwest flight online without having to agonize (me!) about remembering to check in exactly 24 hours ahead of your flight’s departure time in order to get the best boarding order? I recently came across The Art of Travel Hacking blog, whose writer offers a small bit of code you can install in your browser that will automatically check you in!! Once you have added the script following his steps here, you will go to Southwest.com, click on Check In before the 24-hour mark of your flight but no more than two weeks beforehand. You’ll try to check in and then you’ll see a pop up that prompts you to enter the check-in date and time you’d like, the phone number you want your boarding pass texted to, and then click on Auto Check in. He says it does not work for international flights. Also, apparently Southwest made an adjustment to their online check in (probably when they updated their software in May 2017) and as a result, he updated the code to ensure it works. Big caveat here: I HAVE NOT TRIED THIS. But I think it sounds like such a good idea I wanted to share it with you. I tried the Chrome extension to check in to Southwest. I followed the steps, and it seemed to set up correctly. I put 2 seconds beyond my check-in time as recommended. I also was right by my laptop in case of any glitches. Well, it didn’t work. At the time, it said that it was checking in, but “the wheel kept spinning” so I just manually checked in. Possibly even the 2 seconds was not enough time, and I should have put 5 seconds. Maybe I would try the extension again, but only if I was with my laptop to manually do it in case of any problems. And I would extend the time by 5 seconds instead of 2. We don’t currently have any flights coming up soon on which to try this, but DO let me know if you try it and if it works. More tips on Southwest check-in. 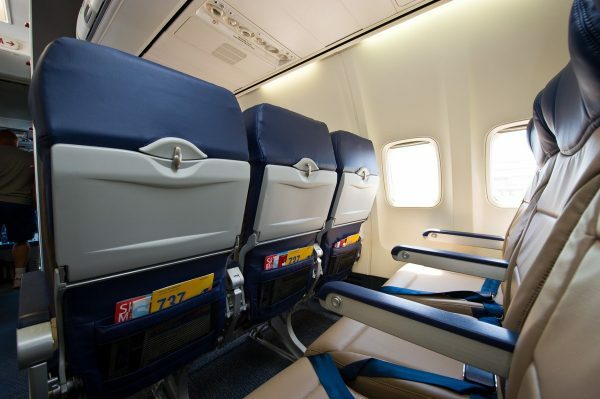 Did you know there’s a way someone can always fly FREE with you on Southwest? It’s called the Southwest Companion Pass, and my online course, “How to Earn Your 2019 Southwest Companion Pass … Step by Step” walks you through EXACTLY how to easily earn your pass this year. The course comes complete with step-by-step checklists, case studies, roadmaps and everything you need to get your pass quickly and cheaply! I’m giving this a try on our upcoming trip. I’ll let you know how it goes. Yea! That would be super. Thanks so much Ben! Yes, this worked for me. I set my check-in time to 4 seconds past the posted check-in time and was assigned an A45 slot. AWESOME! Thanks for letting us know. I have a flight coming up in a few days and I may give it a go. Sorry I didn’t follow up on this way back in January. Everything seemed to be working as it should however it didn’t check in. Glad it worked for Gary, maybe I didn’t do something quite right. Remember to set the date and time to the check-in time plus 4 seconds, not the flight time. I made this mistake the first time I tried it and wondered why nothing happened.